Hyped for more than a week as the smoking gun which would reveal a "deep state" liberal FBI conspiracy against Donald Trump, the Nunes memo has spectacularly failed to live up to its promotion. 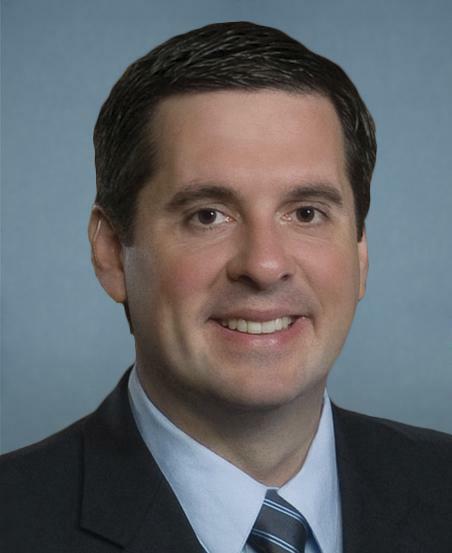 One wonders whether the author, Intelligence Committee Chairman Rep. Devin Nunes (R-Ca), who admits to not reading the intelligence supposedly undergirding the memo written by his staff, even bothered to read the 3 1/2 page memo which bears his name. Released Friday afternoon, I had a chance to begin reading the document shortly after it was published. About 5 minutes later I concluded that perusal My reaction was utter astonishment. Not at what information the memo contained, but astonishment that anyone who read the memo could have thought it exposed some scandal at the FBI or in any way undercuts the Russia probe. Even assuming all the facts contained therein are true, it doesn't advance the "deep state" conspiracy theory one inch. The memo focuses on FBI wiretaps obtained through several FISA judges of Carter Page, who was identified at one time as a Trump campaign foreign policy adviser. The argument is that the "unverified and salacious" Christopher Steele dossier, was used to obtain the Page wiretaps in order to conduct surveillance the Trump campaign. A major part of the memo is the suggestion that the FBI failed to disclose that the dossier was funded by Trump's political opponents when it sought the Page wiretap. It should be noted that today, three days after the memo's release, Nunes admits that claim is false and that the FBI did disclose to the FISA court the political support behind the dossier. There are numerous problems with these conclusions reached in the memo. First, Page was not working on the Trump campaign when the surveillance of him was sought. He had left the campaign a month earlier. Second, the references to Page make up only a small portion of the lengthy dossier. There is no indication that the facts alleged against Page in the dossier were not verified before the document was presented to the FISA court. (Indeed, many of the claims in the dossier have long again been verified independently.) Third, contrary to the memo's claim, the FISA court was told that the dossier was funded by Trump opponents was made known to the FISA court, a fact that Nunes today (three days after the memo was released), sheepishly admits. Fourth, there was plenty of other evidence to support surveillance of Carter Page, who since 2013 had been suspected of working as an agent of the Russian government. Over the weekend, President Trump tweeted this weekend that the memo "vindicates" him against the accusation that his campaign worked with the Russians to win the 2016 election. Utter absurdity. Carter Page is only a bit player in the Mueller's investigation into Russian interference in the 2016 election. Even if all the conclusory, unsupported allegations in the Nunes memo are taken as true, it does not come close to clearing the Trump campaign of what has come to mistakenly be called "collusion." Not even close. That the President would make such a claim reveals that instead of spending five minutes to actually read the memo, he preferred to be briefed on its contents by Sean Hannity. Or, President Trump is simply lying...which he does a lot of. But what about the fact that people like Christopher Steele were outed in the memo as not wanting Donald Trump to be elected? Again, a big nothing burger Steele was a long-time respected British intelligence officer. His investigation had led him to conclude that Trump had troubling ties with Russian officials, had been compromised and was subject to blackmail. So, Steele and other intelligence officers who saw the same troubling Trump-Russian connections are not supposed to have opinions? Any anti-Trump bias was undoubtedly because of what they saw in their intelligence The notion that Steele and the professional intelligence officials at the FBI started with an anti-Trump bias which caused them to shed their professionalism to "get" the President is based on zero facts. As far as the notion that there is a deep state FBI bias which was working against Trump's election is contrary to the facts we know to be true. There were FBI investigations of both the Hillary Clinton and Donald Trump's campaigns before the election. But the FBI only disclosed one of those investigations, the one involving Hillary Clinton. The Comey letter reopening the Clinton investigation came only 10 days before the election and caused her to sink in the polls. Given that the election turned on just 78,000 votes in three states, it is not a stretch to guess that the actions of FBI Director James Comey, fired by President Trump, are the reason Trump won the historically close, 2016 election instead of Hillary Clinton. Oh, and who was the FBI agent urging Comey to re-open the Hillary Clinton investigation based on the newly discovered trove of emails found on Clinton confident Huma Abedin's computer, the same agent who drafted the Comey letter? None other than Peter Strzok, the same agent caught sending to his lover text messages critical of Donald Trump. I know it is something not understood in Trump's world, but there are actually professionals out there who do their job, not based on politics, but on what is right or wrong. Not only does the Nunes memo not support the "deep state" conspiracy narrative, a piece of it completely destroys the conspiracy theory pushed by certain House Republicans that the Trump investigation was launched based on the "unverified" Steele dossier. The memo, in fact, confirms the New York Times story that the investigation into the Trump campaign was started by the FBI following a tip by an Australian diplomat who had been informed, in a bar by Trump campaign foreign policy adviser George Papadopolous during the Summer of 2016 that the Russians had dirt on Hillary Clinton. So two foreign nationals, the Australian diplomat and British intelligence officer Steele, reported to the FBI concerns about Russian interference in the 2016 election, while everyone on the Trump campaign team remained silent about the Russian contacts with the Trump campaign. This includes Donald, Jr. who, after his infamous "adoption" Trump Tower meeting with Russian officials, was briefed by the FBI that the Russians officials might try to contact his campaign as part of an effort to interfere in the 2016 election. Donald, Jr. said nothing. Rep. Devin Nunes has gone well beyond just carrying water for Donald Trump in an obvious effort by the President to undermine and even obstruct the Russian investigation. Nunes, who now indicates he is targeting other departments with more memos to follow, is fulfilling the goals of Vladimar Putin in undermining American democracy. Nunes certainly has no business being chairman of the House Intelligence Committee. Speaker Paul Ryan should remove from that role immediately. Paul, when I was a child and 911 was a new system, we’d prank it and “The Russians are coming, the Russians are coming.” I am now an adult and know that even if the Russians came, there isn’t much they would have to change here in “The Land of the Free”. You might be right or wrong about Vlad, but aren’t many of our local easily re-elected officials little Vlads? Are local re-elected officials killing political opponents and journalists who write critical stories? Not that I'm aware of. Putin does those things, however. Unfortunately, President Trump admires dictators who repress freedom and kill political opponents. We recommend that your readers and ours read Gary Kasparov’s “Winter is Coming”. Vladimir Putin wishes to bring back the bad days of communism. Paul you are right about politicians here not killing their political opponents. America, does it's killing overseas 3M or so in SE. Asia. Millions, killed, wounded, missing or refugees in the Middle East. At home here we have the glorification of the Warrior Cult as exemplified by the Stupor Bowl Pre-Game show. I say this as a Vietnam War Combat Veteran. The US has invaded, bombed carried off more coups in countries since 1945,than any other nation on the face of earth. The last clear-cut American victory, the last true “mission accomplished” moment in a war of any significance, came in 1945 with the end of World War II. That said it would appear the spirit of Joe McCarthy is alive and well inside Donald Trump. Now people that did not grovel before him at the State of Union are "treasonous" and "un-American." Good grief. Don't tell me you're using "Nothing Burger" now, too?! It's as hackneyed and over-used as "Narrative." Listen to this talk by Prof. Cohen, please. Paul, remember, we attorney-like creatures are supposed to deal in evidence. President Trump Friday refused to declassify the Democratic memo on the Federal Bureau of Investigation and the Foreign Intelligence Surveillance Court (FISA), sending it back for negotiation with the Justice Department over intelligence sources and methods. This intelligence memo feud has become a frustrating political back and forth that needs to be trumped with more transparency. Our sources say the Democratic memo—six pages longer than the GOP version released a week ago—has three main themes. The first argues for the credibility of Christopher Steele, the former British spy who compiled the dossier that the FBI used as the bulk of its justification for a wiretap on Trump campaign adviser Carter Page. The second is that the FBI had good reason to surveil Mr. Page, and third is that the GOP memo is partisan. None of this sounds like earth-shattering news since Democrats and their media echo chamber have been saying it for days. But keeping the memo classified plays into the Democratic narrative because the public can’t see the evidence behind their public claims. Let’s see what they’ve got. The better remedy for these competing claims is to declassify all of the documents that House Intelligence Committee Members and staff used to compile the memos. This includes the full FBI application for a wiretap order from the FISA court—the original application and the three extensions. This would let the public see the full record and judge who is closer to the truth. The FBI and Justice will claim this compromises intelligence sources and methods, but that’s what they said about the original GOP memo. It did not. They said the same about a letter from Senators Chuck Grassley and Lindsey Graham concerning Mr. Steele’s credibility. That also didn’t spill any essential secrets, though it did provide crucial information to help the public understand what happened. Anything that did betray U.S. intelligence-gathering sources could be redacted, though the FBI has to be checked for trying to redact information that is merely embarrassing to the FBI, not damaging to national security. The questions surrounding the legitimacy of a U.S. presidential election and potential abuse by the FBI are too important to public trust to keep mired in partisan claims based on a hidden public record. If that record vindicates Mr. Trump, as he claims, then he has further incentive to get everything out. Americans can handle the truth, and they deserve to see it." I think this opinion piece by the WSJ editorial Board is much better reasoned. https://pjmedia.com/trending/criminal-referral-christopher-steele-corroborates-nunes-fisa-memo/ DO two nothingburgers ever amount to more than a single nothing burger?